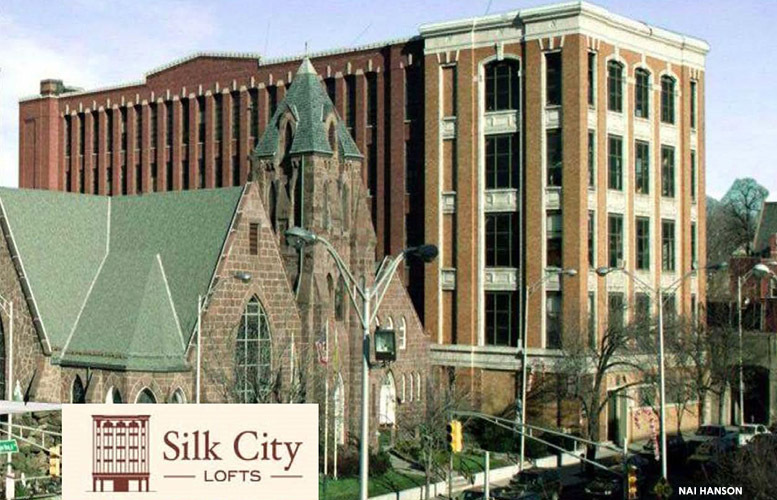 Prominent real estate developer Charles Florio purchased the Silk City Lofts, a 48-unit apartment building on Broadway, and a development site approved for 195 rental units on Fair Street, for $5.88 million. The condominium units at 175 Broadway range from 717 square feet one-bedroom to 1,996 square feet two-bedroom. The building also has a 9,500 square feet commercial space on the ground floor that’s available for lease. Converted from a former silk mill, the building has high-end features like granite countertops, 20’ ceilings, and stainless-steel appliance. It includes on-site parking, a private fitness facility, on-site laundry room, intercom monitoring, and private storage rooms. Cassano represented both the buyer and the seller in the complex transition. Part of the deal included the lot at 105 Fair Street which has municipal approval for the construction of 195 apartments with ground-floor retail. Florio said he plans to submit an application to the city seeking to construct a 10-story building that will have 250 units. He said the new luxury apartment complex will have 24/7 valet service, indoor pool on first floor, pool on the roof, onsite management company, door men, and onsite security. He will negotiate with the Paterson Parking Authority to acquire spaces from its nearby lot. “Most of my guys told me I was crazy when I first came out here,” said Florio. He owns more units in Paterson than the Paterson Housing Authority. The proposed building moves Florio into the high-end housing space. He owns hundreds of units throughout the city’s 1st, 4th, and 5th Wards. The units he presently owns are not high-end luxury housing units. Florio has been criticized for condition of his apartments. Some have accused him of being a “slumlord.” Now, his critics may have another charge to hurl at him. “My critics will tell me I’m gentrifying the area,” said Florio. A one-bedroom apartment at his proposed new luxury building will range from $1,300 to $1,600, he said. “There’s plenty of Paterson residents that could afford these apartments,” said Florio.